Book of the Week Book of the Week: A Pick by Colin Stearns Colin Stearns selects The Narcissistic City by Takashi Homma as Book of the Week. 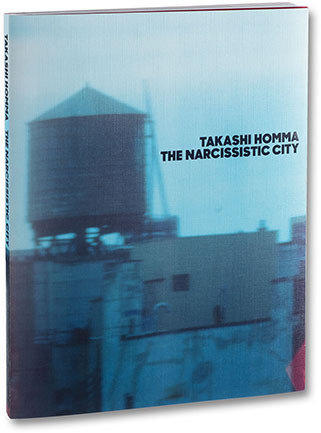 Colin Stearns selects The Narcissistic City by Takaishi Homma published by Mack as Book of the Week. "More often than not, I gravitate to photobooks that leave me asking questions, and Takaishi Homma’s The Narcissistic City certainly satisfies this requirement for gravity. The Narcissistic City is a physically engaging photobook that visually leads us through urban landscape images of Japan and the United States. The physicality of the book is surprisingly large, measuring 9½x12½”, then opening to 19x12½”, it’s already a big book but has an additional 15 gatefolds that triple the size to 36x12½“. The size of the book requires the viewer to have it on a table or the floor for proper viewing distance, to negotiate how they view. The Narcissistic City is more a like a gallery exhibition that is bound, physically moving the viewer around the pages and images. The photographs in the book begin in Japan and then flow back and forth between Japan and the U.S. The space photographed never feels intentionally specific, however very recognizable places and architectural icons such as the Chrysler Building or the famous Hollywood sign still appear. Within Homma’s compositions, urban vistas are contrasted with mountains in the horizon or city parks in the foreground, creating shrouded and haunting city landscapes. However, throughout the book Homma sustains our concentration on the city by keeping his focus on the architectural form and the blinding light of the environment. The photographs were made within the cities from hotel rooms where Homma made camera obscuras. The resulting images come with that eerie warm softness, tone and contrast, that this proto-camera offers. Homma maintains the dust, scratches and chemical processing errors integral to the images. Is this a collaboration? Homma is working between himself, the environment that is being reflected and the hotel room he is working in; the photographic materials he chooses do seem to form a partnership. The photographs in the expanding gatefolds are often upside down where Homma attempts to bind the inversion of the images (as seen in the obscura) with the concept of the narcissist, allowing us to be in the landscape and see our own inverted image. We also have the personification of the landscape: the city looking back onto itself with the aid of captured reflections, viewing itself and the psychology of that confrontation. Also likely is the objectification of the city by its inhabitants who just happened to have cameras. The Narcissistic City. By Takashi Homma. Mack, 2016. Colin Stearns is an artist and photographer based in Queens, New York. Stearns’ work has been exhibited globally as well as in New York City. His photographs have been published in Places Journal, Oranbeg Press, The Oxford American magazine, Supermassive Black Hole magazine and Conveyor Magazine. Stearns recently published Meridian with RITA Books. 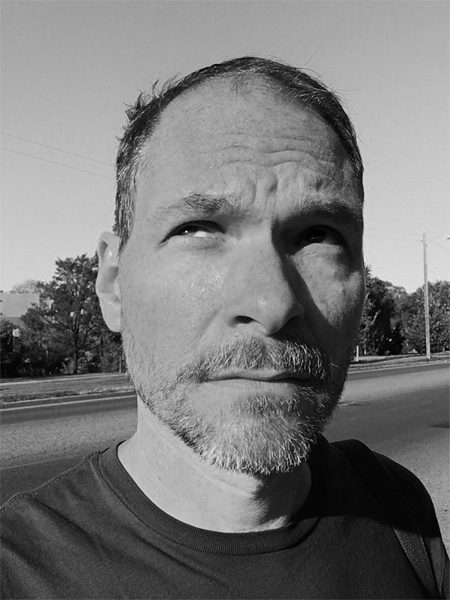 He is an assistant professor of photography at Parsons School of Design where he teaches Contemporary Photobooks and Landscape and Space, and is the director of the BFA Photography Program.